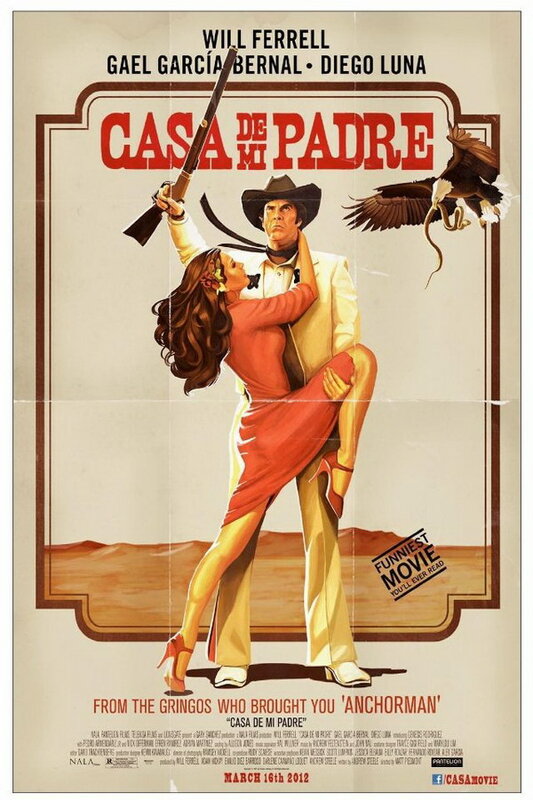 Casa de Mi Padre, or My Father’s House in English, is a 2012 comedy movie that tells the story of Armando Álvarez, who must save his father’s ranch from a powerful drug lord. The font used for the movie title on the poster is probably Egyptian Bold produced by Wooden Type Fonts. The font is a commercial one and you can purchase and download it here. In addition to Casa de Mi Padre, Egyptian typeface is also used in the following logos, movie posters or album covers etc., including: Wheels & Tears, Sal, The Attic Door, Gone with the Wind, Blue & Lonesome.